May 10, 1866 - Prince Karl of Hohenzollern-Sigmaringen (Carol I) arrives in Bucharest and is proclaimed Ruling Prince of Romania. 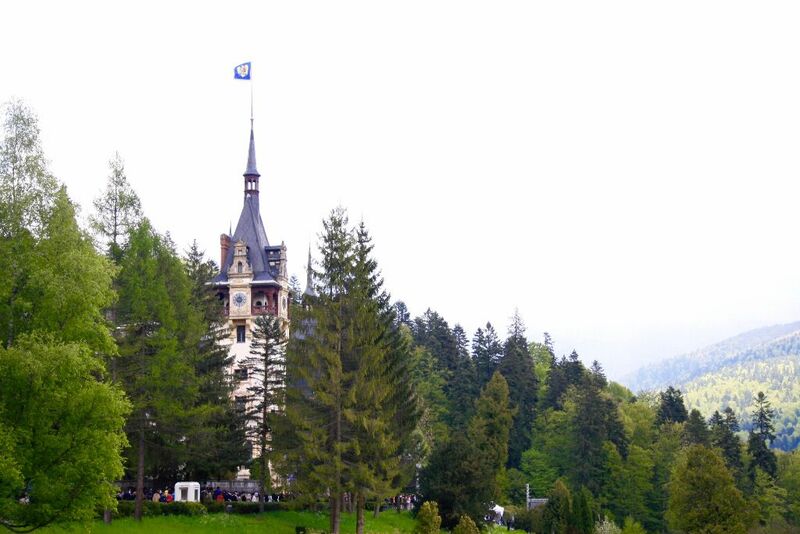 May 10, 2016 – the Royal flag is hoisted on the Peles Castle’s tower for the first time in almost 70 years--Romanians and the Royal Family celebrate together the extraordinary day. 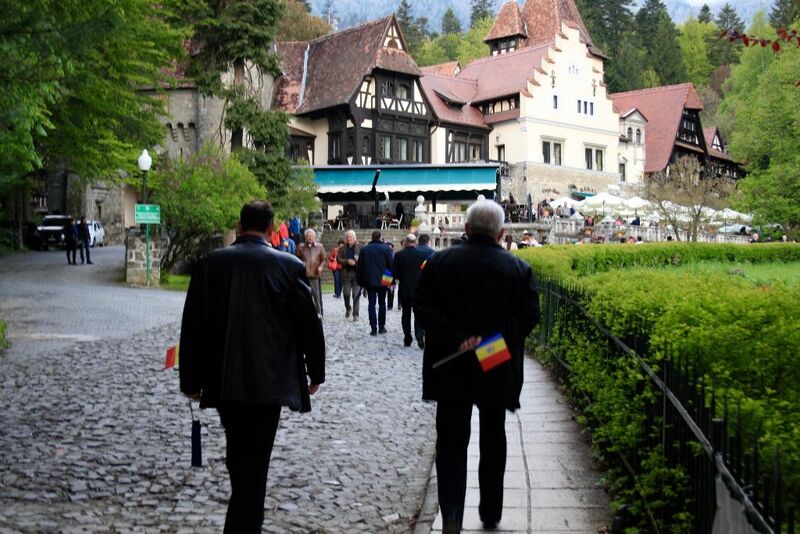 May 10 was a very special day in Romania this year, as it marked both the King’s Day and 150 years since the establishment of the Royal House of Romania. 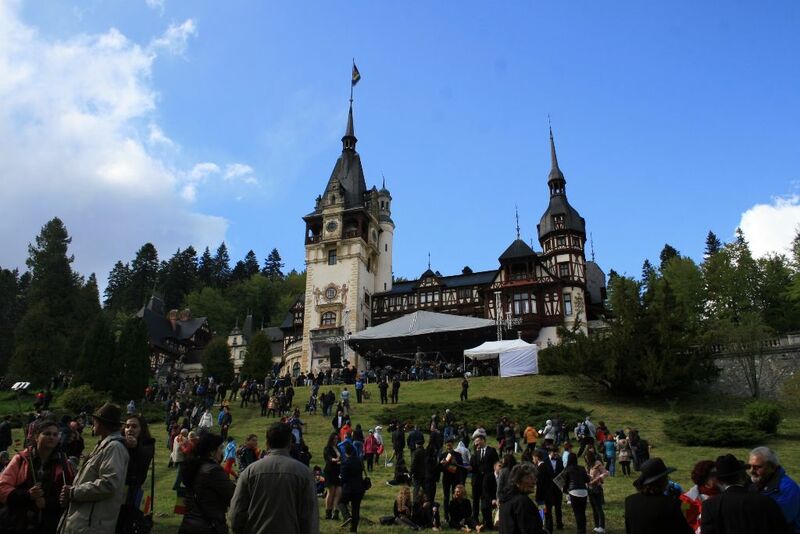 Several events were organized in Bucharest and the Sinaia mountain resort in the past week, and it all culminated with a Garden Party and a Royal Concert at the Peles Castle in Sinaia. 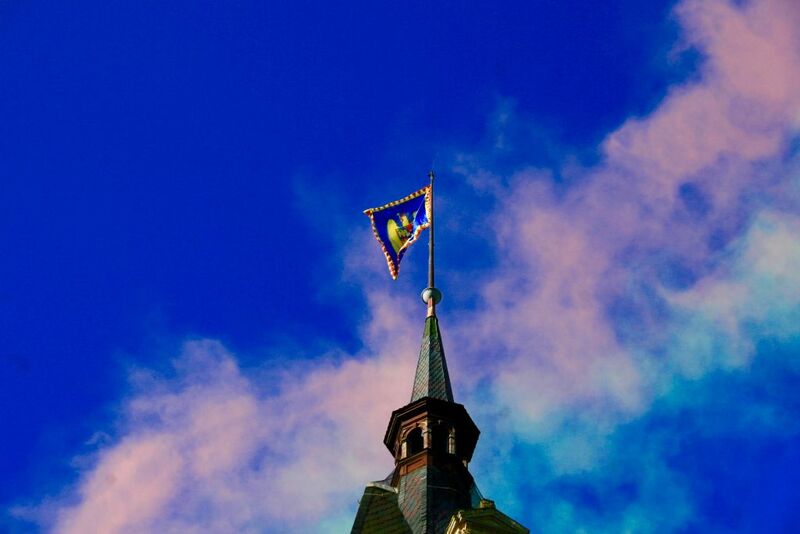 The celebration started with a very special moment: the Royal Flag was hoisted at the Castle’s tower for the first time since 1947, the year when King Michael was forced to abdicate. 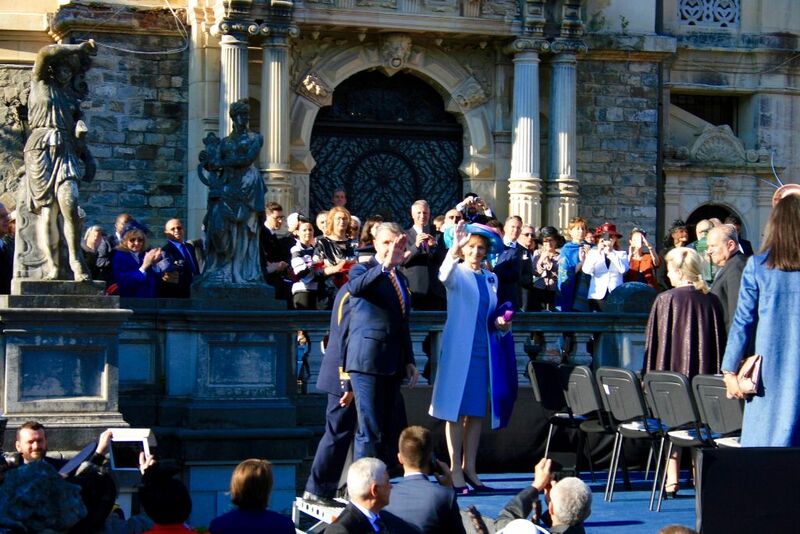 Royal House staff, foreign guests, and members of the Royal Family were be present at the ceremony, including Crown Princess Margareta and Prince Radu. 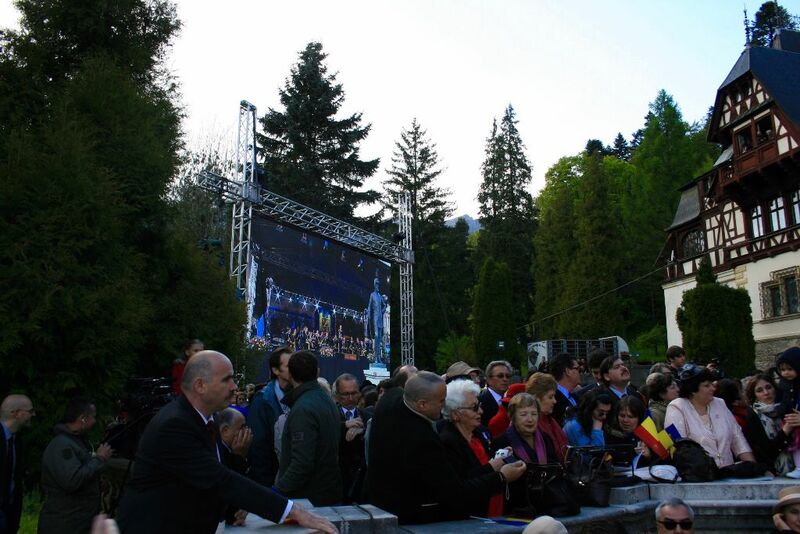 Thousands of people arrived at the Peles Castle in the afternoon, to see and celebrate the Royal Family of Romania. 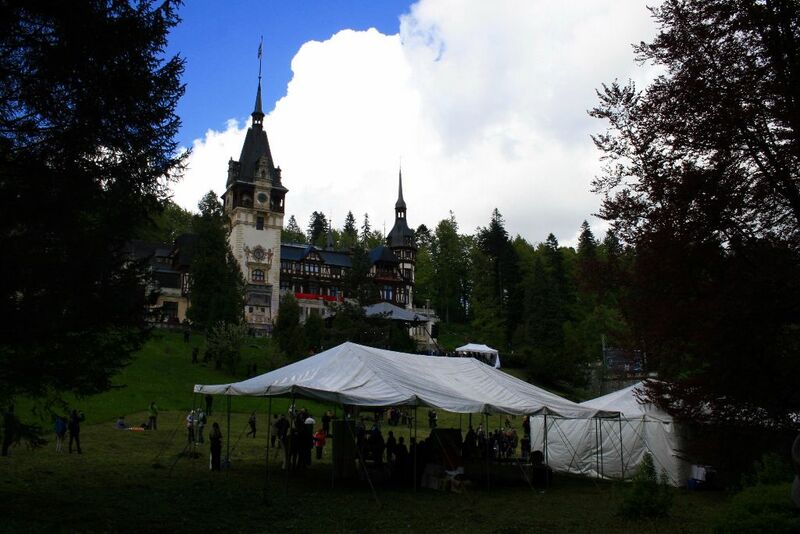 There were guests from Romania, the Republic of Moldova, and other countries. 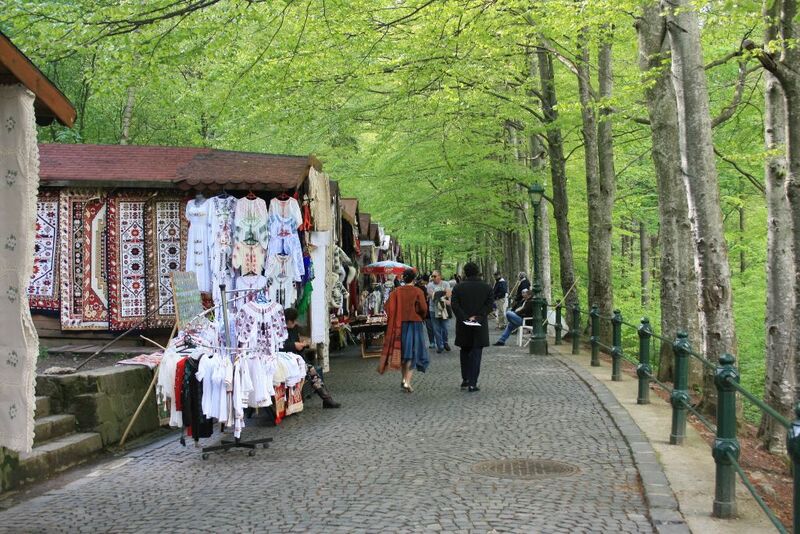 According to some estimates, the celebrations brought together some 5,000 people. 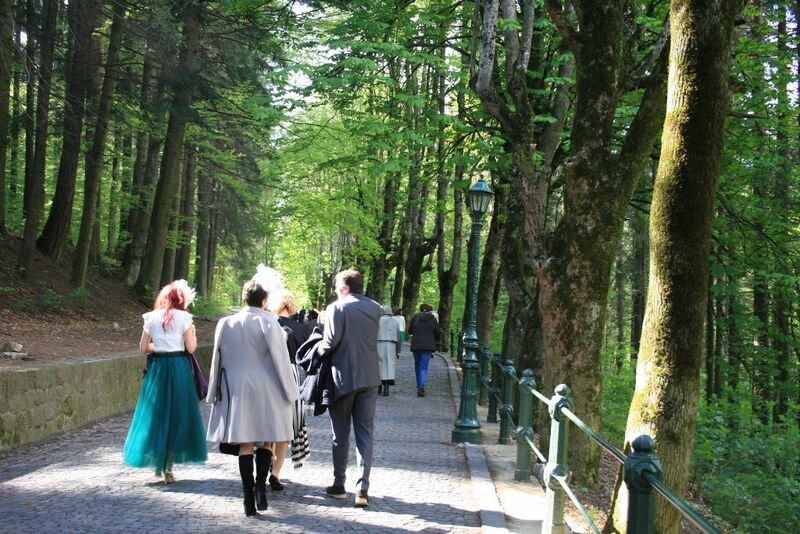 More than half of them had special invitations to the event, and one could easily see which of them: the women were very elegant, wearing beautiful dresses and hats while the men had also put on their best suits. 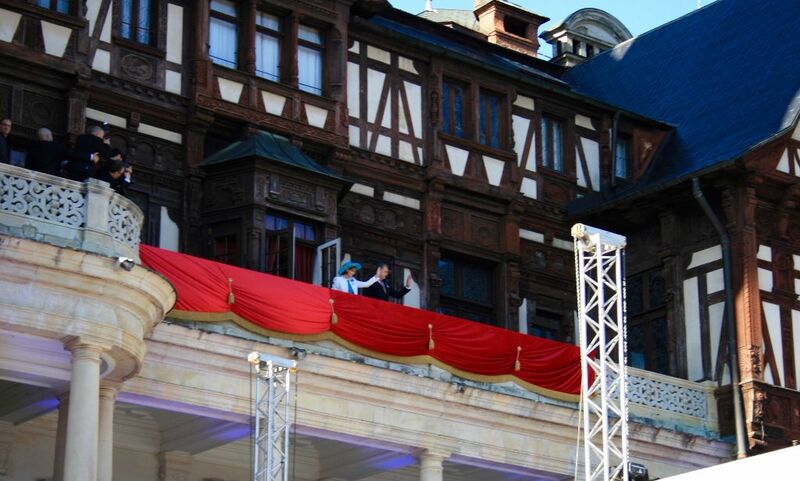 They were the ones who had the chance to stay closer to the Royal Family, and listen to the beautiful concerts from the Castle’s terrace. 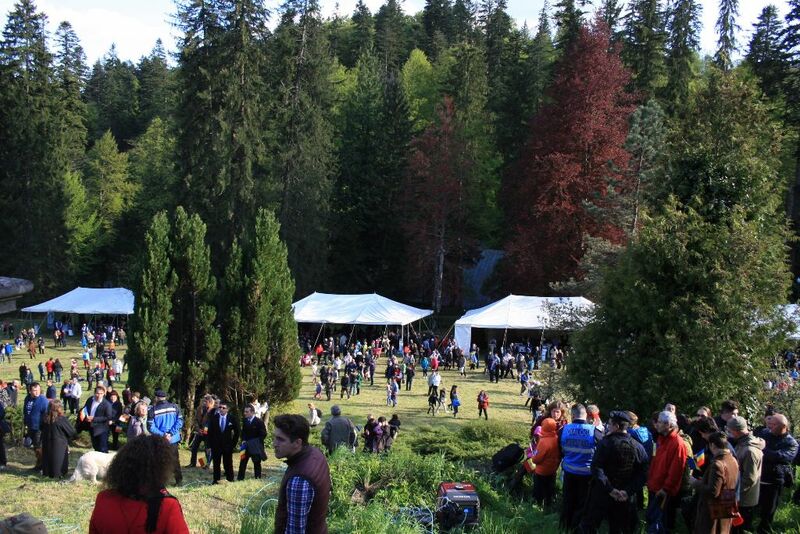 Some 2,000 people also attended the event from the Castle’s lawn. Some of them were sitting on the grass, and others were taking pictures while enjoying a glass of wine and keeping an eye on the children who seemed to have a lot of fun playing on the grass. 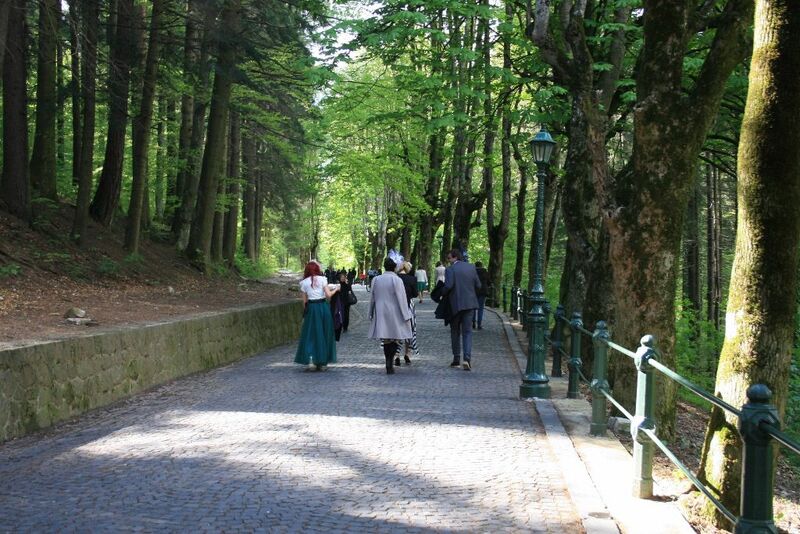 People dressed in Romanian traditional costumes were also present at the Castle. 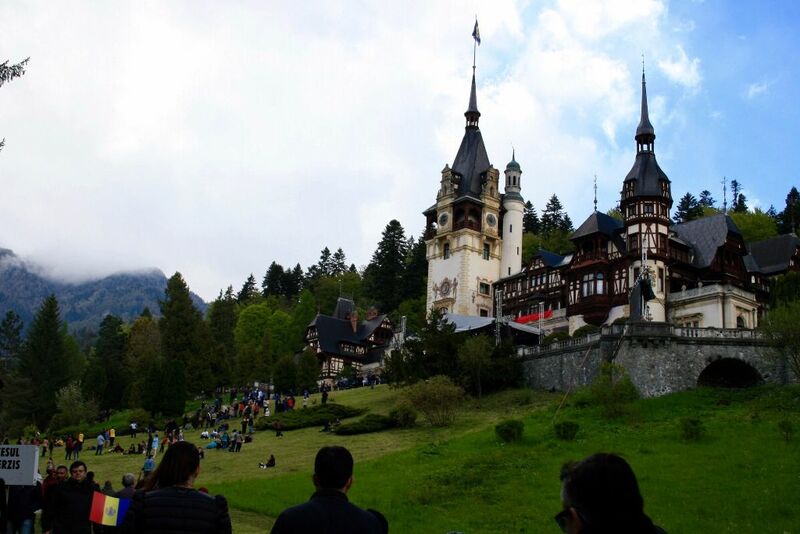 What is worth noticing is that the program announced by the Royal Family for the celebrations at Peles Castle was respected by the minute: the Army’s Representative Orchestra started playing right on time, at 17:00. 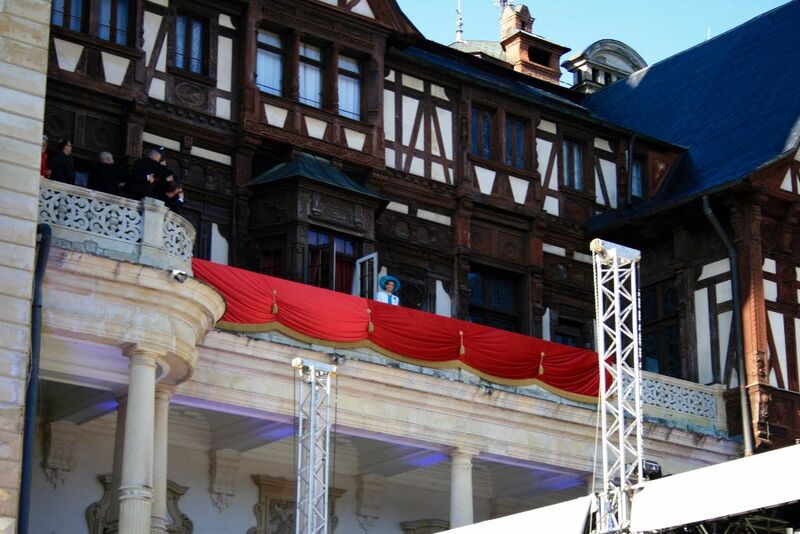 One hour later, at 18:00, the Royal Family made their appearance on the Castle’s balcony. 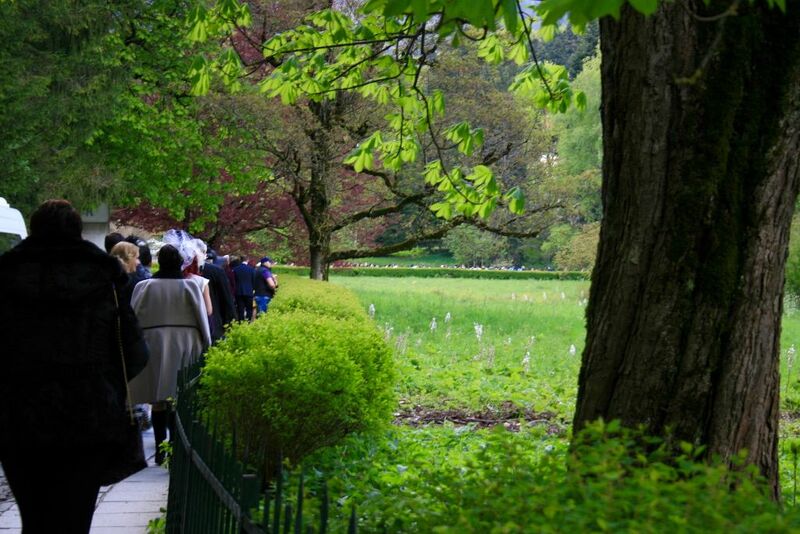 The moment was a powerful one, remembering people of the old days when this kind of things was common. The technology was the one making a big difference now: everybody got out their phones, tablets, and cameras to take some photos of the Royal Family. 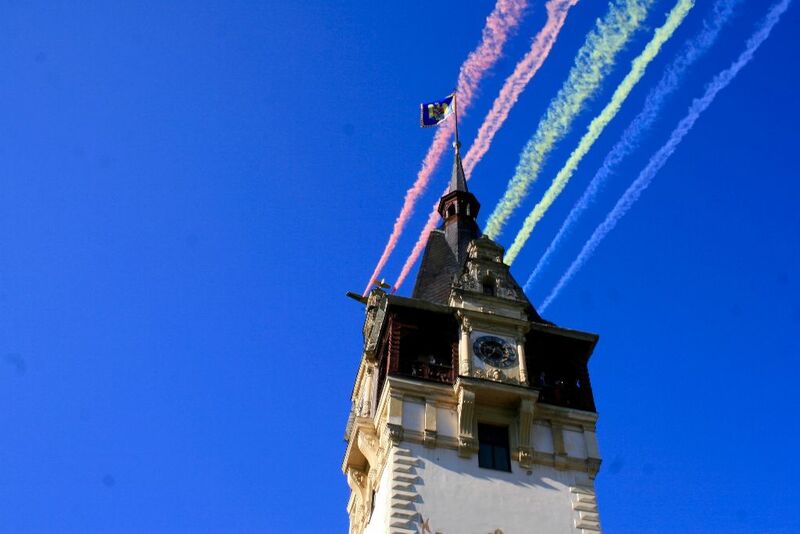 Soon after the Royal House’s appearance at the balcony, three planes flew over the castle, living three traces of smoke behind, in the colors of the Romanian flag: red, yellow and blue. 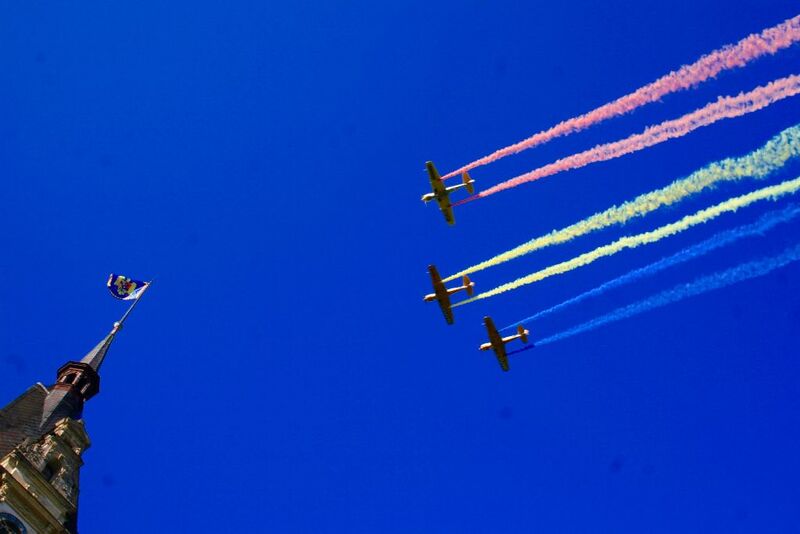 The crowd welcomed the planes with cheers: Long live the King!, Long live the Royal Family!. 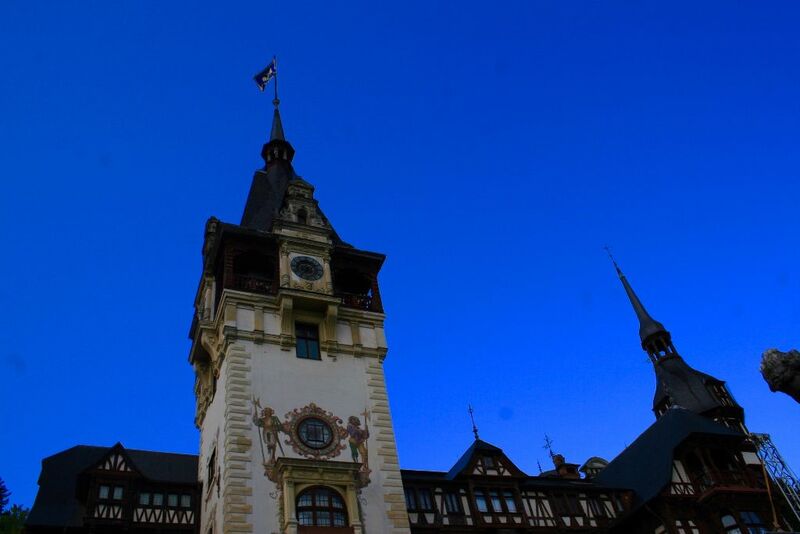 The same chants were also heard minutes later when Princess Margareta and Prince Radu joined the guests on the Castle’s terrace, for the Gala Concert scheduled to start at 18:30. 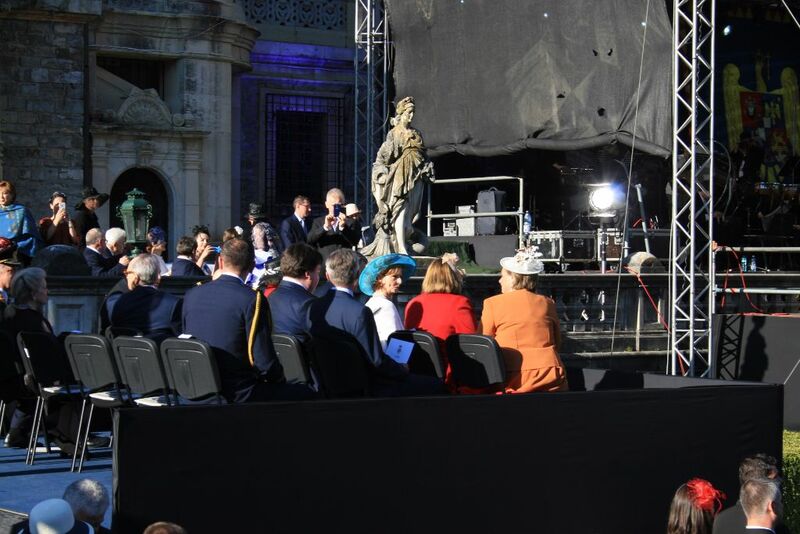 The Princess and the Prince took a few minutes to salute the crowd once again, and then took their seats for the concert. 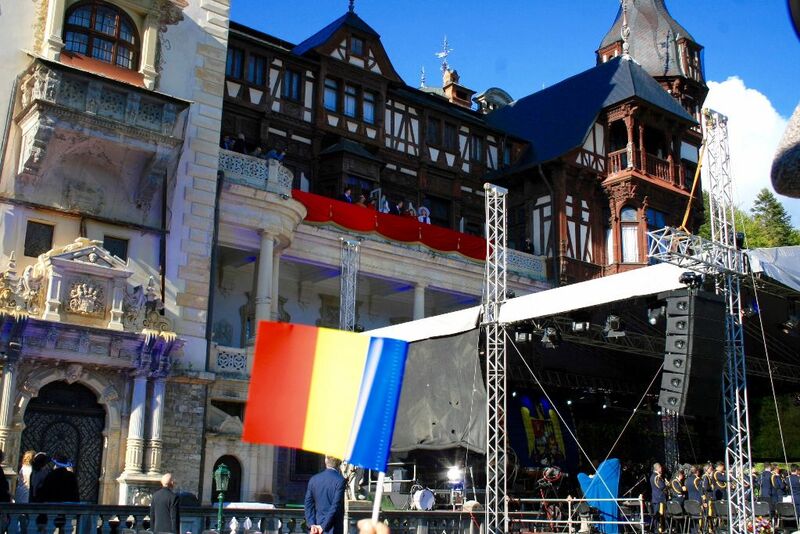 The musicians performed outdoors, on the special stage arranged on the Castle’s terrace. 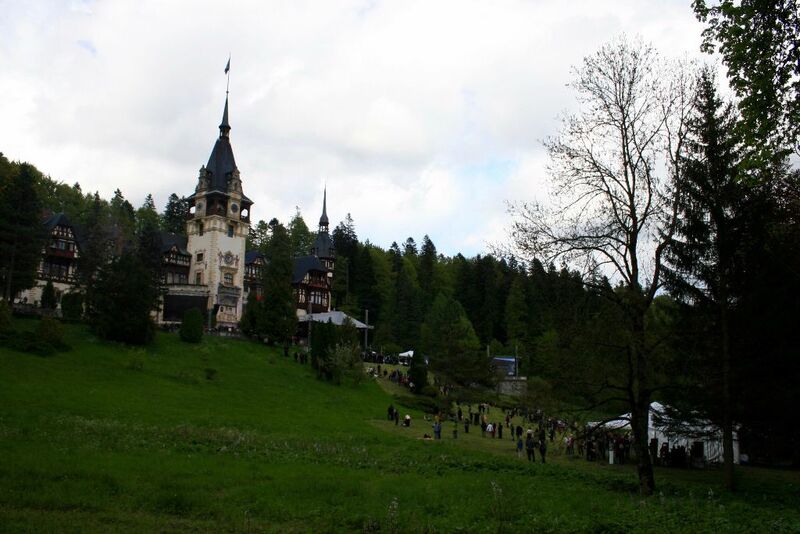 The people could also see the concerts on the two big screens installed near the Castle. 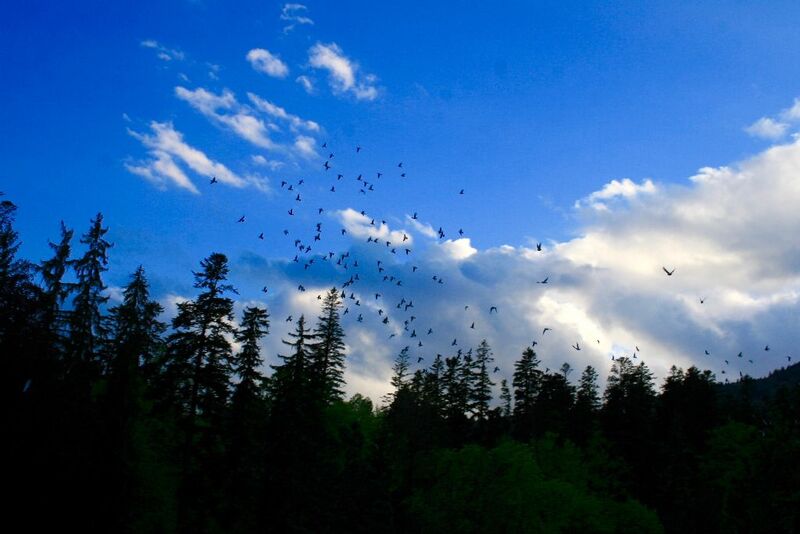 At 19:30, the celebration ended with the release of 400 doves. 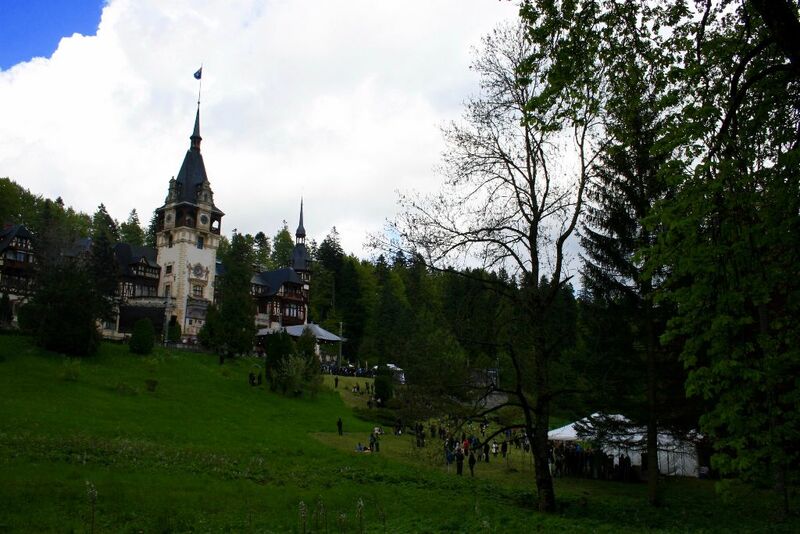 The crowd cheered the Royal House once again, and then went home with lots of pictures to show to their friends.